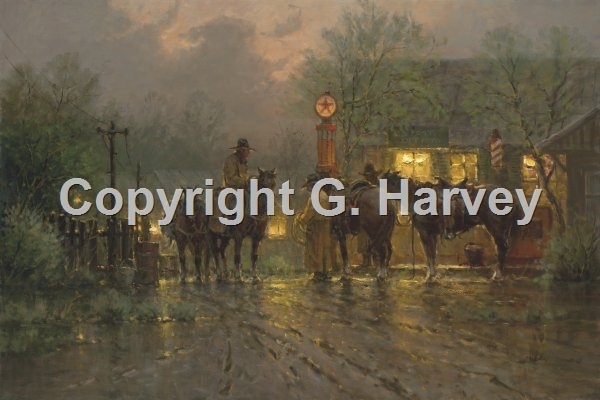 "Cowboy Gathering" is vintage G. Harvey. Old friends get together around the gas pump to talk old times - it happened in the Old West and it still happens today. Only the vehicles and the gas prices have changed. The cowboys and the "talk" remain the same.